After a 15 year stint in Los Angeles , surviving earthquakes , floods , and riots , it was time to return to Houston. Upon arrival he landed the drummer’s chair , in the Broadway production of ” Peter Pan ” starring Cathy Rigby, for a 24 show , run. His timing was perfect for Commercial Art, who happened to be looking for a drummer. 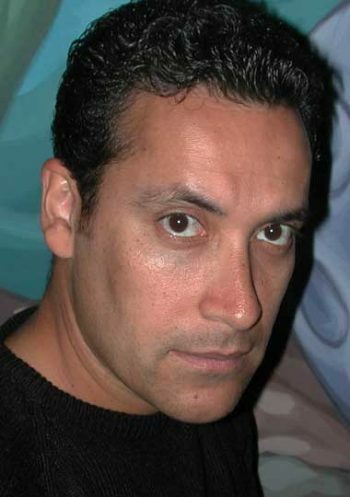 Robert has become a major contributor to the band, not only as a drummer and vocalist, but also as Commercial Art’s current , Owner / Bandleader. Robert takes the time , to meet with each client , to assure that every detail , is to their satisfaction. Jonathan Wayne Perry was born on November 11, 1952 in Houston, Texas. 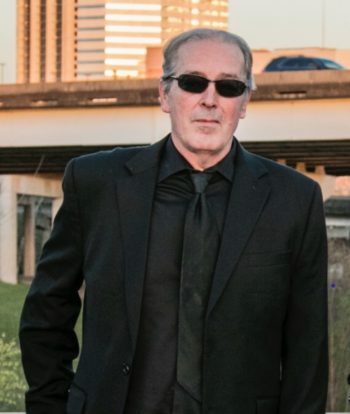 Born and bred on Houston’s North Side , and growing up in the same generation , with the same musical influences, as such Texas guitar greats as Stevie Ray Vaughn, Johnny Winter,and Billy Gibbons, Jon created his own , original style. He is not a copy , he’s the real deal!!! During his late teens, he spent a brief period in Little Rock, Arkansas During these two years, Jon was practicing eight hours a day and playing with the band at night. Upon his return to Houston, he instantly landed a gig with Dean Scott and the Cosmic Cowboys, Houston’s hottest band at the time. Throughout his 20’s, Jon played the balancing act having to make a living on one hand and trying to stay creative on the other. He crossed paths with Tony on several occassions, and they did some playing and recording together. After years of the usual musician’s routine of going through periods of regular employment followed by lean times, Jon and Tony started working together again with soul singer Tomi Lee Bradley. Their band was playing at Cody’s, a penthouse club in Houston’s Montrose area. When Commercial Art needed a guitar and keyboard player Tony and Jon were recruited. They have recorded several CD’s and opened for national acts like Steely Dan, The Doobie Brothers, and Willie Nelson. Cloris Grimes, saxophonist, has become one of Houston’s hottest musicians. Born and raised in Jacksonville, Florida, Cloris attended Florida A&M University where he was a mamber of the world famous “Marching 100”. He has worked with some of the biggest names in entertainment such as Michael Jackson and the Jacksons, The O’jays, the Manhattans, The Dells, Millie Jackson and Betty Wright. Cloris’ talent hastaken him around the world to places such as Africa, England, France, Germany, Ireland, Japan, Scotland amd every major city in the United States. 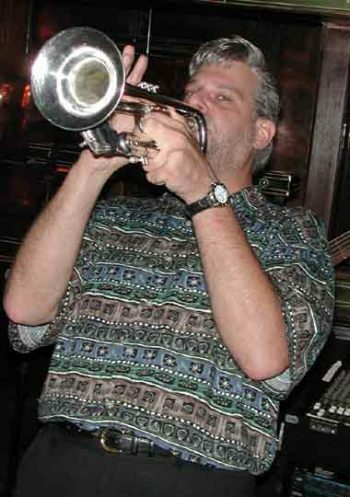 Jim Brady, trumpet and drums, dropped out of the sky into the ranks of Commercial Art in September of 1999. One month before five year veteran Keith Malonson was going to leave the group, Jim showed up and asked to sit in. It pays to be reluctant to let a stranger jump on stage, but in Jim’s case it it was love at first solo. He not only came already equipped with the knowlege of the horn parts to most of the repertoire, but also with a great sense of humor that fit the band like a glove. When he proved to be an ace drummer as well, the band decided not to let him get away. Originally from New Jersey, Jim has quite an impressive resume. As a student at the University of Miami during his early 20’s he toured with the BeeGees and K.C. and the Sunshine Band. 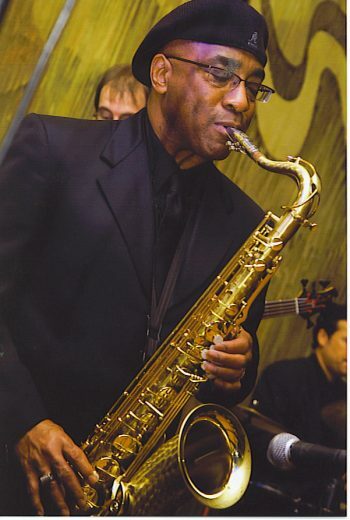 He has toured internationally with superstars like Phil Collins, David Crosby (on drums), Bo Diddley, and was a longtime member of southside Johnny and the Ashbury Jukes. Although Jim loved the life on the road, he decided to give it up during a phone call to his daughter. She was in Jersey, he was in Paris and she said, “Dad, you’re missing me growing up!” Jim gave her and his wife a choice. If they could live with him making a lot less money, but being there, he would give up the road and come home. Without pausing to think, they told him to come home. A good friend offered Jim a good position in Houston. The family relocated and Jim had abandoned the thought of playing. ‘Till he heard Commercial Art. Rebecca has a rich background in music, from opera to R&B. Growing up in a family of professional musicians made a love for music second nature. She started singing professionally with her father at the age of 16. 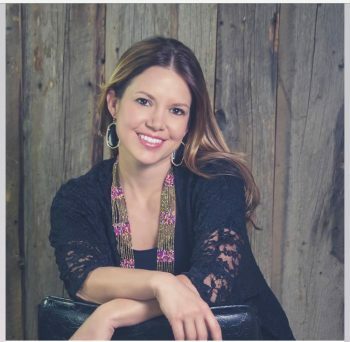 After receiving a bachelor and masters in music, Rebecca began teaching private voice lessons, conducting middle school choir, and singing with Commercial Art. 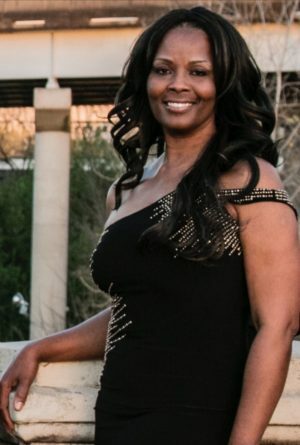 She has been singing professionally for over 20 years now. Rebecca has had the opportunity to sing the National Anthem at several sporting events. She has performed at the Sundance Film Festival, Grand Tetons Music Festival, and has been the opening act for Super Bowl kickoff events. Born in Beaumont , Texas , has been a pro player for over 4 decades. Well versed in all styles of music , he’s at home , playing ,Rock, R&B, Latin, Salsa, Country, Rockabilly, Jazz, Pop, and Reggae ! He has an extensive resume …. 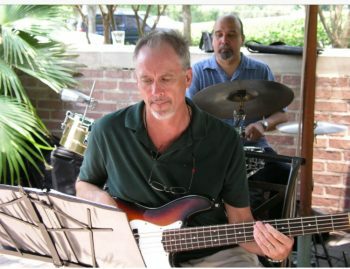 To the present …….Commercial Art Houston’s premier variety band ( bass ) !!! Marina Mizelkova was born and raised in Moscow, Russia. She joined Moscow Children’s Musical Theater at the age of 5 , where she was selected for the theater’s frontline kids’ rock band and has been singing happily thereafter. 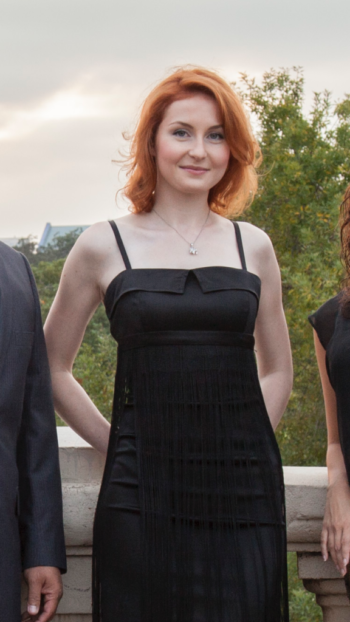 Marina graduated from Moscow College of Improvisational Music with a degree in jazz vocals. While performing as a solo artist , and as a member of jazz vocal and A Capella ensembles , she was chosen , as an X-Factor Russia finalist. A resident of Houston, Texas , since 2010 , Marina is a vocal instructor , as well as a lead vocalist with Commercial Art ! Born and raised in 1977, in Houston, Randy began experimenting with music on a toy piano and harmonica as young as the age of three. 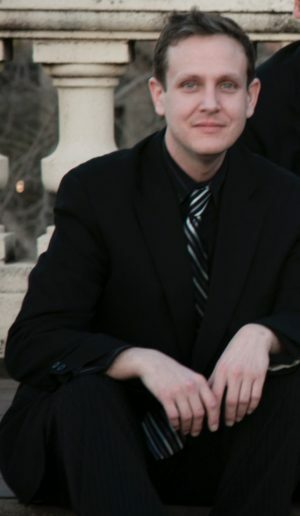 He began taking piano lessons at age 5 and has since became a self-taught talent. Since then Randy has gone on to work with several big name talents including but not limited to Dan Akroyd, Calvin Owens, Gary P. Nunn, and the band Sugarland. He also still does a variety of studio session work with Andy Bradley at Sugar Hill Studios here in Houston, as well as working on various independent and larger film score projects. In November 2009 he started playing with Commercial Art and has proven to be a valuable asset to the band. His diverse experience playing many different styles of music, and vocal abilitly has enabled him to fit right in to the ever-evolving Commercial Art experience. 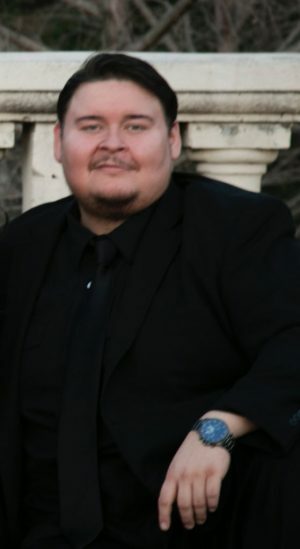 Having very large shoes to fill from the band’s previous keyboardist, Randy has shown he is more than capable of carrying the difficult load of playing keys and singing for Commercial Art. We are all glad to have him as part of the team and hope the relationship lasts for years to come.